Nothing is more debilitating than copping a hit and being benched when all you want is to excel out on the field. The Australian bureau of statistics report over 10.5 million Aussies over 15 years engaging in sporting activities in the year of 2005, that’s more than 2/3rds of the population! A number of these athletes progress to the Australian Football League where their top physique and performance deliver results for their team and their club. The Sunbury Chiropractors at Chatfield Chiropractic see a multitude of sporting injuries, and when they occur proper management is key for a successful return to sports. Most of us have sustained an injury, and we all know how debilitating this can be for your sport, your training and your general performance both on and off the field. Often athletes face weeks and months scaling down their training to allow healing and start rehabilitation. Because every minute off the grass feels like a punishment, proper advice, management and a tailored rehabilitation program is key to ensure a timely return to sport. Because the most common predictor of future injury is a history of previous injury, a proactive approach to your body and health is key for longevity. At Chatfield Chiropractic the health care practitioners have expert knowledge when it comes to high level performance and managing sports injuries. To ensure you are on the pathway to optimal body function, weather that be with a current injury or for a pro-active approach, make sure you call the clinic at Roxburgh Park (03) 9303 9952 or Sunbury (03) 9746 3977 to see how we can help you preform at your best. As a top athlete your body needs to know exactly where every joint is in space to calculate the next move when that ball comes flying through the air. When a mismatch between body and brain communication occurs, there is room for error and as little as a millimetre or two can be the difference between the perfect catch and a hamstring strain injury. Luckily chiropractors have top level expertise when it comes to assessing communication and function of the nervous system – the main communicating system in the body that allows function of every cell, muscle and tendon. 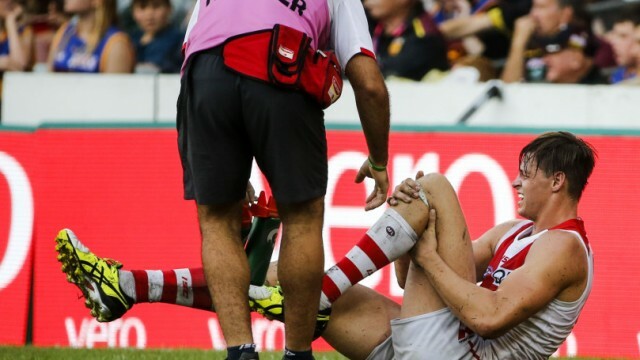 The most prevalent injuries seen in AFL is by far hamstring strains, osteitis pubis or groin pain, and calf strains, but chiropractic can assist in a multitude of other muscle and joint related injuries, as well as pain management and concussions. The chiropractors at Chatfield Chiropractic work to thoroughly assess the function of the nervous- and musculoskeletal system from top to toe, and can assist in any matter of treatment or rehabilitation needed when this is not working at it’s peak. With rigid training in anatomy, physiology and biomechanics to understand and assess how the nervous system is functioning, a chiropractor provides the perfect match to athletes looking to fine-tune their performance. Assessing the fine motor function of the body and restoring motion where motion is less than optimal, the chiropractic adjustment plays a unique role in resetting proprioception and restoring proper signal communication between brain and body. Armed with a multitude of tools in soft tissue therapy and rehabilitation, a chiropractor is uniquely equipped to look after peak performance athletes. To make sure you are getting the best out of your training and health, book an appointment today to get started on the journey to lifelong performance – call us on (03) 9303 9952 Roxburgh Park or (03) 9746 3977 Sunbury to see how we can help you today. This entry was posted in Injury and tagged AFL, Chiropractic and AFL, sporting injuries, treat sport injuries.